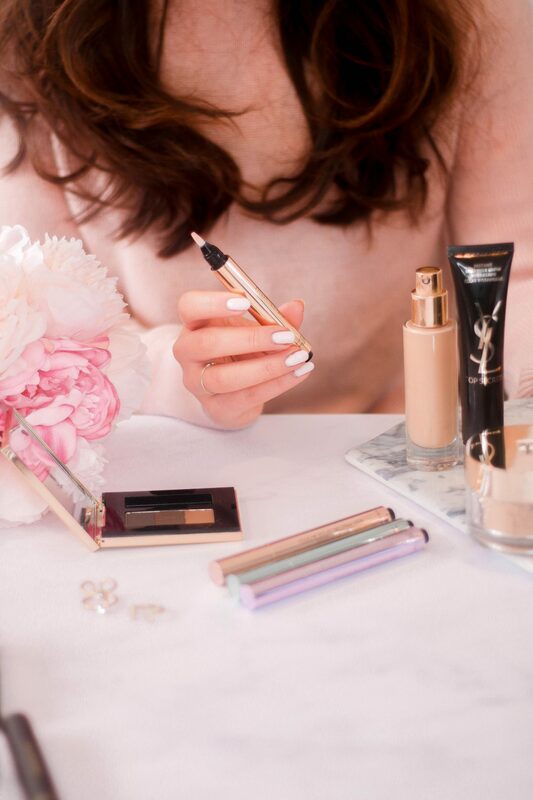 Are YSL Beauty Products Worth The Price Tag? And Will They Give Me A Flawless Base? 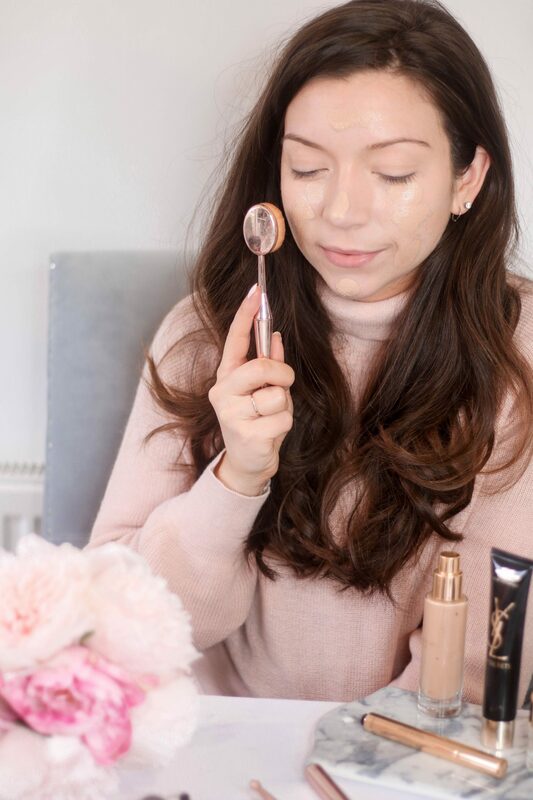 If someone was to ask me what my favourite foundation was, my immediate answer would be YSL Beauty Touche Eclat foundation– which I’ve loved for a good 5+ years. I first discovered the foundation when I was working in a department store and I treated myself to it with one of my first month’s wage (also the staff discount made it a little more affordable!) I’ve gone through at least three bottles of the foundation and even recruiting my sister and Mum as firm fans of it too. Over the past year when my skin got very, very oily, I did have to put down the Touche Eclat foundation as I needed something a little more matte. However, due to my skin being quite dry atm thanks to my Roaccutane treatment, recently I’ve been rediscovering my love for it. 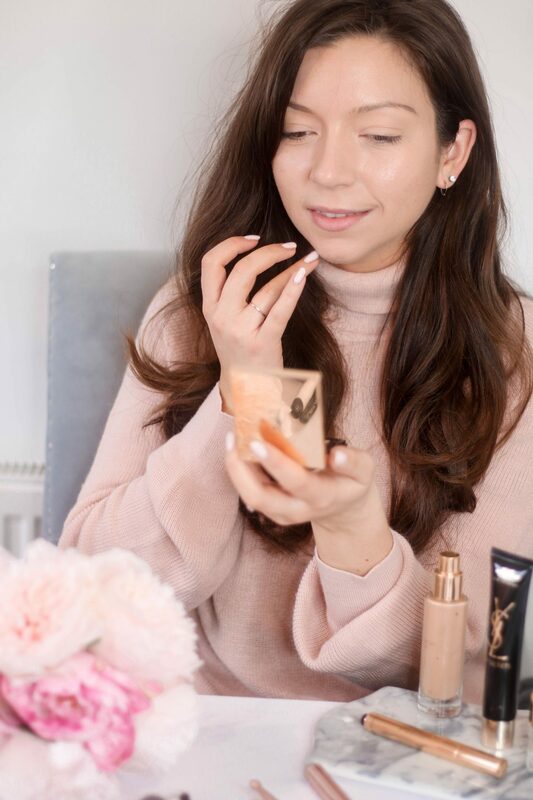 So you can imagine how excited I was when a parcel full of YSL’s base heroes arrived, which are to ensure that your base is absolutely flawless. 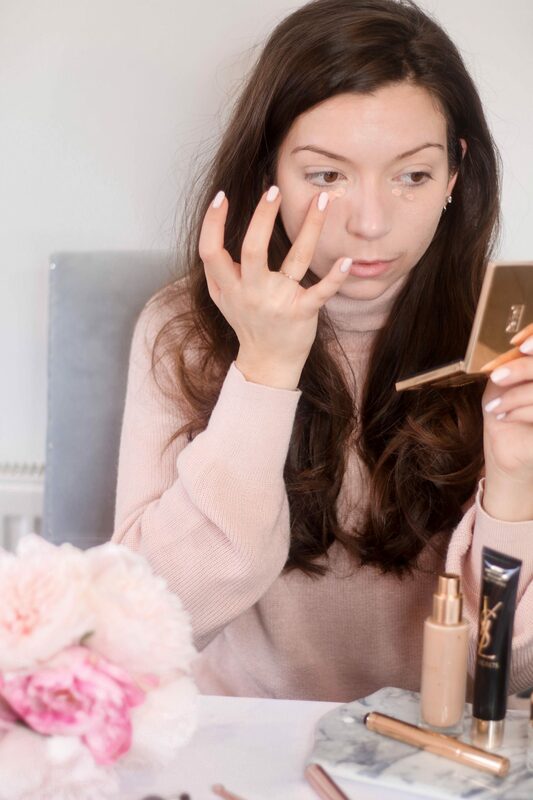 With YSL being more of the pricey side of make up, I thought I would try all the products alongside the Touche Eclat foundation to see how they worked together and if they truly made my base flawless. So let’s start with the Instant Moisture Glow, which I applied first. My skin was feeling particularly parched so I was quite generous when applying this. That being said, quite a lot went a long way, I wouldn’t use this as just a moisturiser, it does feel quite silloconey- so it’s best used as a primer. But it didn’t irritate my skin which was good and its particularly sensitive at the moment too, I found it made my skin feel really soft and moisturised for the pretty much the whole day too. I think it helped to make my skin quite dewy, which was good. It is quite pricey at £36, but it is quite a big tube, so I do think it would last you quite a long time. 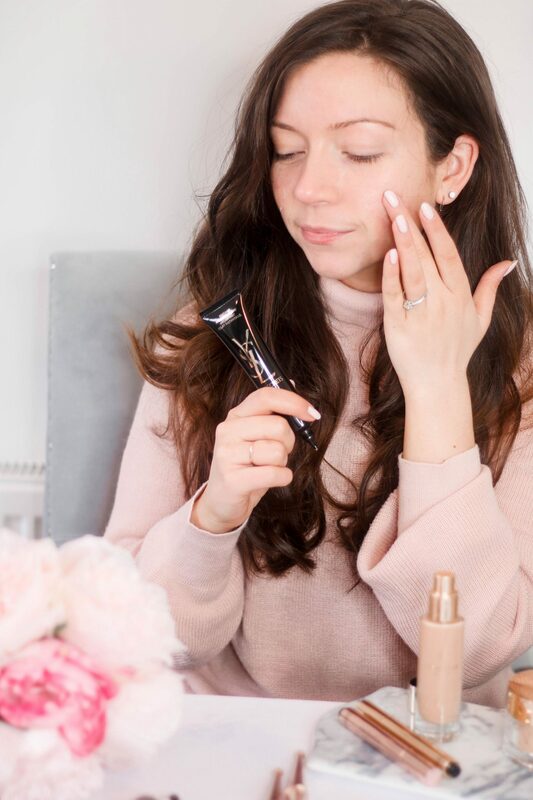 It’s one of the better primers I’ve used recently – moisturising wise, it definitely helps to give a glow but I would avoid if you have oily skin as you won’t need this. Next I used the Touche Eclat Neutralisers to colour correct my face. I’ve got three colours; Apricot Bisque (a peachy colour which helps to neutralise dark circles and spots, as this colour helps to cancel out colours such as blue, purple and brownish dark spots.) Vert Green (green helps to neutralize redness) and Violet (helps to diminish the look of sallow spots and yellow patches on the skin.) I haven’t used the violet neutraliser, mainly because I have no yellow-ness on my skin, I did however use the Vert Green and Apricot Bisque colours. I used the Vert Green shade on a few areas of redness on my face, including around my nose and some red spots I have on my cheeks. I found that this was pretty pale, and probably a bit too pale for me. But it did get rid of the redness, but I found I had to blend it in quite well as I didn’t want to look like I was doing an incredible Hulk impersonation. I think that if you really suffer from redness on your fave and are quite pale, this would probably work well for you, but for me, I found it a little too pale, but I think maybe I used it on too much of my face, and should just keep it to using around my nose and in small areas. However, I was really impressed with the Apricot Bisque colour, I used this on my dark circles which are usually quite a dark purple colour. I found that the peachy shade helped to neutralise them and brightened my whole under eye area. I again made sure to blend quite well, as I didn’t want to leave my under eye area looking orange. I think the neutralisers are very well pigmented and they have a fair bit of coverage to them so you do have to make sure you blend them in well. 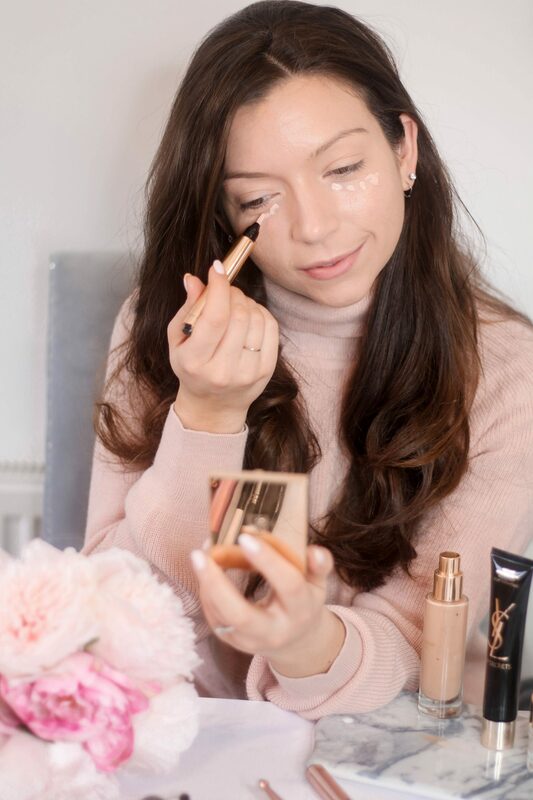 I was a fan of the Apricot colour though as it made my dark circles a little less noticeable, and I do struggle to cover them up normally. Next I applied foundation, I used the Touche Eclat foundation in the colour B40 and buffed this in with a round flat-topped brush which helps to give a flawless almost airbrushed finish. What I love about the Touche Eclat foundation is that it’s nice and glowy, it’s pretty light-weight and gives medium coverage. I also love the colours B40 and 50 as they seem to work really well with my skin tone. 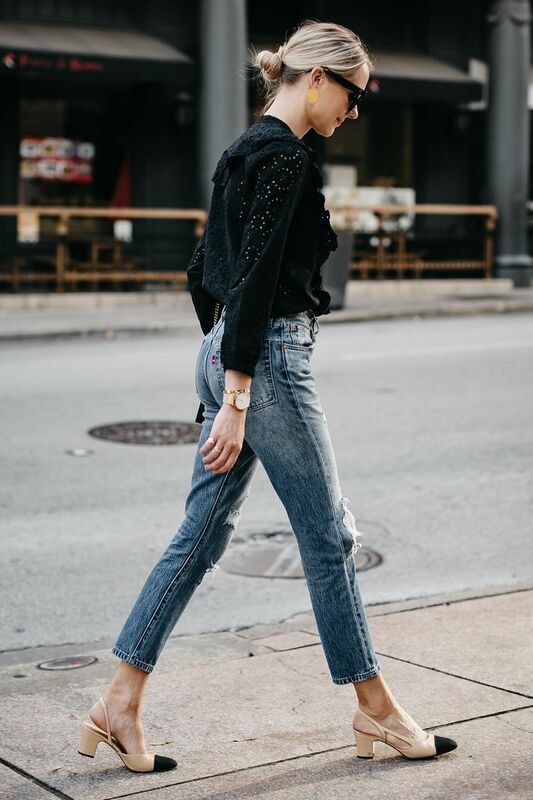 It’s perfect for that healthy, glowy look- it gives you that Millie Mackintosh glow that we were all obsessed with back in 2011. Because the foundation doesn’t have the fullest of coverage, I do need concealer for spots and under my eyes. I used a Make Up revolution concealer for my spots which is pretty high coverage, and then the YSL Touche Eclat Radiant Touch for under my eyes. This concealer also highlights under the eyes as well, I found that again I didn’t need a huge amount but my eyes instantly looked brighter and my under eye circles weren’t as noticeable. I feel like I look like I’d got a couple more hours sleep that what I actually had haha. Finally, I set my base with the Souffle D’Eclat powder, as by this point my skin was looking a little too dewy for my liking. The powder is nice, but I think the colour I have is a little too dark as I did find it made me a little orange. But I can imagine that in a paler shade or a translucent version it would be a nice powder to mattify without leaving you cakey. 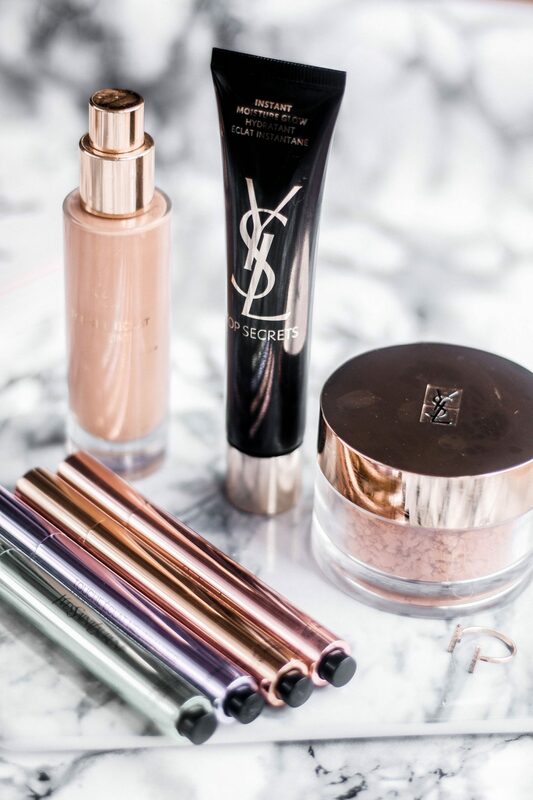 So what are my thoughts on the YSL complexion heroes? For me, my faves were the Instant Moisture Glow, the Tocuhe Eclat Neutraliser in Apricot Bisque and then the Radiant Touch too. I think I will be using these most days from now on! I’d love to know if you have ever used any of YSL’s base products and what were your thoughts? Previous Post In Defence Of Being Boring.